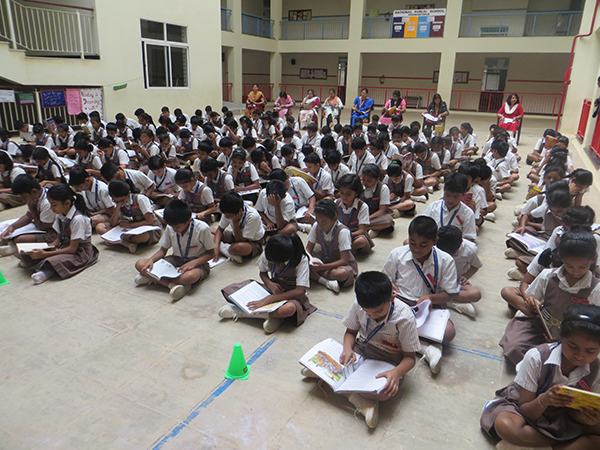 To foster love of reading, the library organised an activity called DEAR (Drop Everything and Read) on Thursday 6 December 2018. 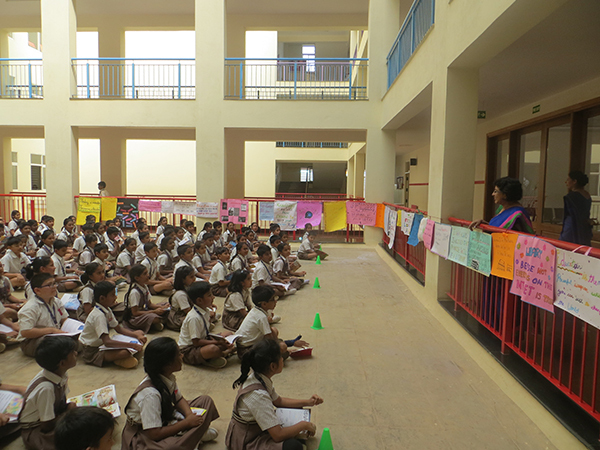 The programme was organised in the afternoon and the students and teachers of Classes 1 to 9 spent time reading their favourite books, magazines, newspaper etc. During her address, the Principal, Ms.Alka Gupta emphasized that the students should spend at least half an hour every day for general reading and catch up with the current affairs. She also asked them to setup a library at home. The quotes and the posters alongside the walls added to the ambience.